Now that you’ve signed the pledge you may want to help spread the word and let others know that you b and want them to just b too. Checkout the high-quality crafted items in our storefront that you will feel good wearing and displaying. Do you want to learn more about b’ing stigma-free? We’ve identified a selection of books worthy of a good read. Check back often as we increase the selection of available items. B Stigma-Free is a 501(c)(3) non-profit organization, and we rely on your financial support to help us achieve our goal to foster an inclusive community for all people. We now have an easy way for you to help us – Amazon Smile. AmazonSmile is a simple and automatic way for you to support B Stigma-Free every time you shop, at no cost to you. 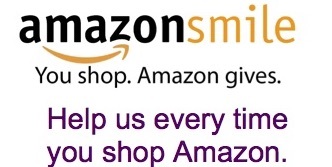 When you shop at smile.amazon.com, you’ll find the exact same shopping experience as Amazon.com, with the added bonus that Amazon will donate a portion of the purchase price to us. To support B Stigma-Free just go to smile.Amazon.com and enter B Stigma-Free when prompted to enter your favorite charity. Then, the next time you shop on Amazon, just go to smile.Amazon.com instead of the regular Amazon, and your donation will be automatic. Your account information (including Prime memberships) will link automatically too.